Bernhardt Furniture looked amazing at High Point Market. The new collections were amazing! 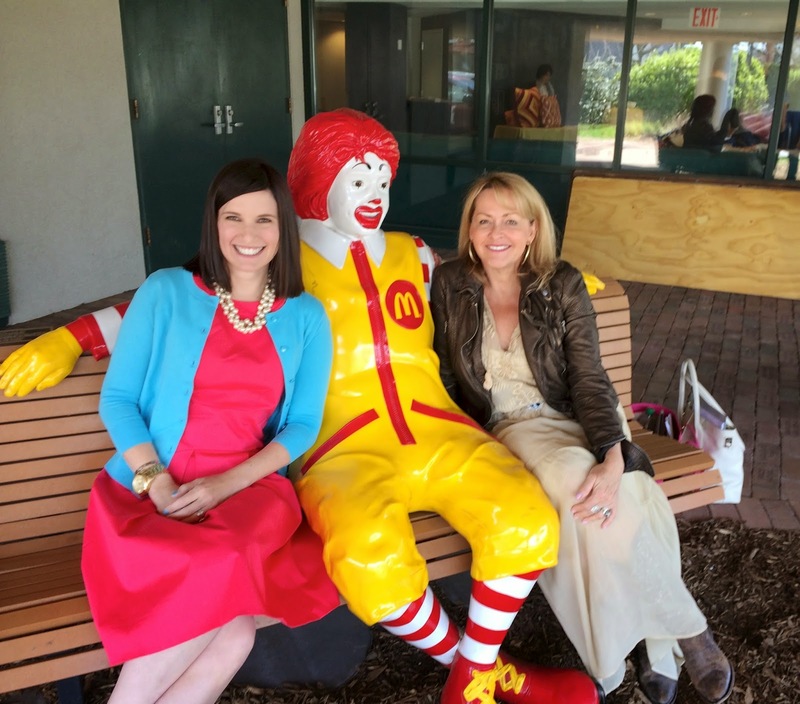 Ronald McDonald House "Part Deux" & "Design On A Dime"
Ronald McDonald greets Traci and I at the front door of the Ronald McDonald House Long Island. This photo was taken by Charlie who is one of the volunteers for the house. It has been a busy travel week for me and not much time for blogging. I am on the plane home from New York, where Traci Zeller and I attended the kickoff event for the interior designers involved in phase two of the Ronald McDonald House of Long Island . It was a very emotional day. The love and dedication of the staff, as well as the excitement of the participating designer's desires to make a difference in the life of others created a surreal environment for the afternoon. This is the "house that love built." Love has continue to manifest itself in the metamorphosis of "part one" and I think "part deux" will result in the same. The number of participating designers has grown from the original 26 designers in phase one to 44 designers in phase two. The increase in deigned involvement represents how important tho project is to the design community. Thanks to Anthony Baratta who had the vision for this project and spearheaded the efforts initially. He was there and was excited about phase two. What an honor to meet this design icon! Traci and I are excited about our room appointment, which I will share in detail later. At the end of our event at the Ronald McDonald House, Traci and I decided to go into Manhattan to attend 10th Anniversary of Design on a Dime. 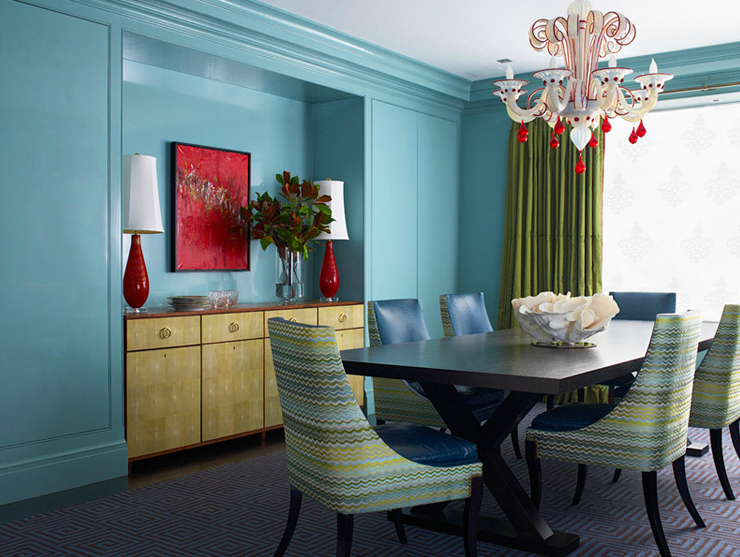 "DOAD" is the most popular interior design event in New York city sponsored by Housing Works each year. 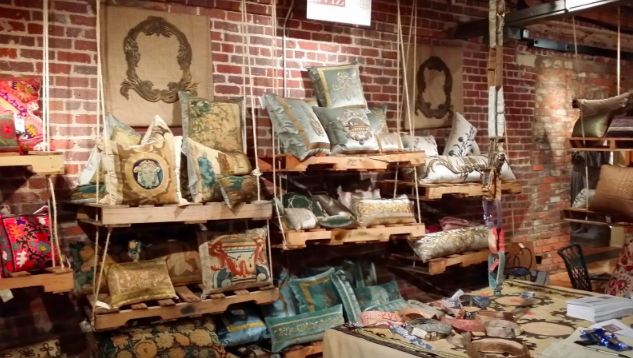 Each year for the past 10 years, more than 50 of the world's top interior designers have created amazing room vignettes with totally donated or self created, new merchandise, which is sold at the event for 50-70% off retail pricing. Click here to read more about DOAD! There is so much to share about this event! We loved seeing our friends, who participated in this years event. It was so amazing that Traci and I have decided it is a "don't miss event" going forward. I can't wait to show you what I bought and share our New York adventures, but first I must unpack and spend some time with my family. They are looking a little needy. Hope your Saturday is fabulous! This past week I attend the Charlotte Mint Museum Auxiliary's Room To Bloom Symposium and had the good fortune of hearing the talented New York designer Katie Ridder speak. Wednesday was a crazy morning for me because I was trying to get work projects settled and pack for a trip I was leaving on later that day, but I thought it would be worth the effort to hear Katie Ridder and I was totally right. 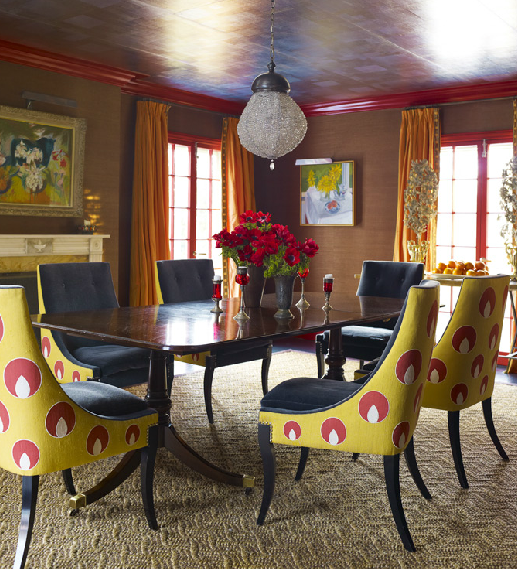 "Katie Ridder’s extraordinary dexterity with palettes of primary and secondary colors, her playful approach to mixing antiques and modern pieces, and her eye for unusual decorative accents have all established her as a leading, and singular, figure in the world of interior design. " 1) Colors don't compete with Art, they promote it. 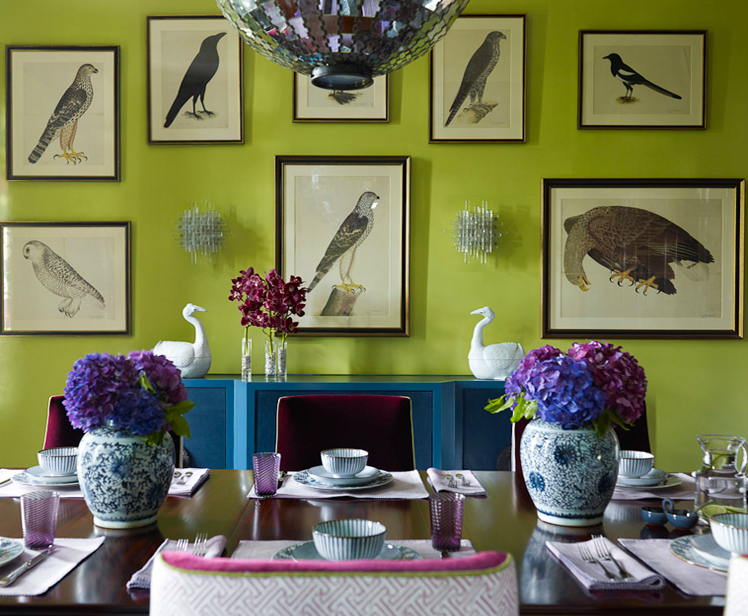 She advises to paint the walls a color even if you have an extensive gallery like collection. She says often designers pick white because it is easy when a color could be far more interesting. 2) As a designer, our homes are our laboratories, we use our home to experiment. We try out your thoughts and processes there. I had never thought about it that way but it i true. Our home is often a good example to share with clients. 3) You will never get anywhere by giving up if things don't happen quickly. Katie started out with craft like items, then moved into making slipcovers and then had wooden printing block made in India, all of which never really amounted to anything but she didn't give up, she kept trying until she got it right. Those processes taught her so much along the way and are good reminders to her about the path she has traveled to get to a successful place. 4) Don't expect to start out with the big clients. Katie did not attend design school. She started out working in House and Garden. Her first job was filling rolodex cards and from that she worked her way up the ranks to where she is today. It didn't come easy. Her success is due to years of hard work and being willing to do what had to be done when often it wasn't glamorous or fun. 5) Travel has played a huge role in inspiring her passion and love of design. She ventured to foreign lands of India, Istanbul and other faraway places with her husband, famed architect, Peter Pennoyer. Her vast exposure has resulted in threads of exotic lands being woven into her design aesthetic, which often adds a unique and interesting twist in her projects. It also prompted her to open a shop which she later closed. Many of the pieces of her shop were used to create what she refers to as the "Zam Zam" room in her own home. It's a place of fun memories where her children entertain friends. 6. Good designers don't have to go to design school. I did go to design school but when people ask me if I think they must, I say no. You either have interior design talent or you don't. Going to school is certainly great, but you can learn at the hem of a good designer or by working with designers which is what Katie did. Her discerning eye came from working with designers when she was in the magazine business. I have long been a fan of Katie Ridder's and after hearing her speak, my affinity for her has grown even more. Here are some of my favorite rooms designed by Katie. Katie's work has been featured in all the top shelter magazines. She has been on the cover of Elle Decor and House Beautiful. She has appeared on the list of "Top 100 List of Designers" in Elle Decor, House Beautiful and New York Magazine, but Katie is more than that. 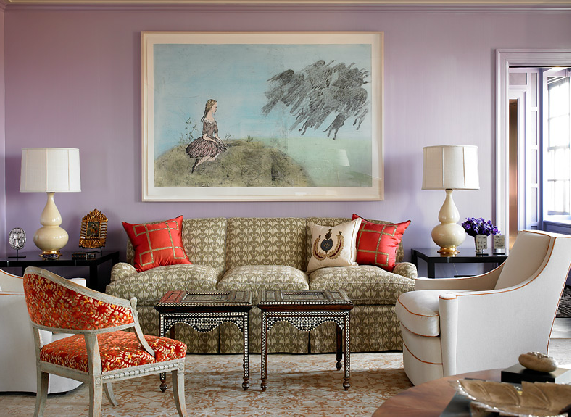 She is a artist who uses her talent to paint beautiful interiors for her clients. She is a weaver of fabulous interiors for families who want to feel like their homes speak to them with style and grace. "The Design Process is hard work, but in the end I want my interiors to look inspired and relaxed, not studied"
I am crazy in love with Louise Gaskill Lighting. 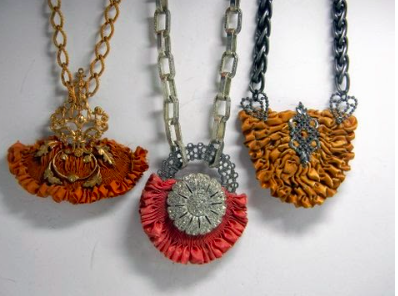 Louise takes vintage materials and creates modern designs. While I was at High Point Market, I paid a visit to Louise Gaskill Lighting in the salon at Market Squares. When I first met North Carolina lighting designer, Louise Gaskill, we instantly connected after discovering we were Meredith College alumnus. Meredith is located in Raleigh, NC, where Louise currently resides. It is a girl's school, that boasts an angel for a mascot. The angel mascot began as a "tongue in cheek" joke, but was quickly embraced by the student population. Once you become a "Meredith Angel" you are part of a special sisterhood for life, so I consider Louise a "sister". I knew I wanted her beautiful lighting in Studio 202. It is perfect for the concept Traci and I envisioned for the studio of offering things that are not currently found in Charlotte. We both love custom pieces with a unique flair for our client work too. Louise's line is an extension of the original art offerings, we have curated for the studio. We can't wait to share the entire collection which is growing by the day. I am happy to welcome Louise Gaskill Lighting to Charlotte! Yay! Her lighting will be in Studio 202! 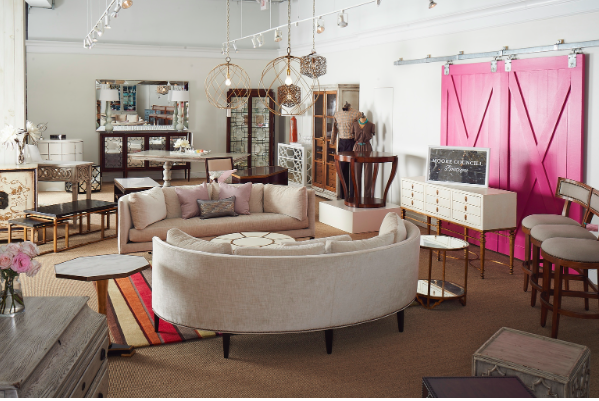 Hands down, my favorite new showroom at High Point Market was World's Away's new permanent showroom in Interhall. World's Away isn't new to the High Point scene by any means, but the growing company has graduated to a much larger, permanent showroom. It's no secret that I have been a long time fan of World's Away having style spotted them all three times I was a style spotter for High Point Market. I think the line just keeps getting better and better. Years ago, I bought World's Away when I had a retail space under another name. That was in the 1990's and I bought "painted toile" table tops, wastebaskets and trays. The line looked very different and my style was different in those days as well. 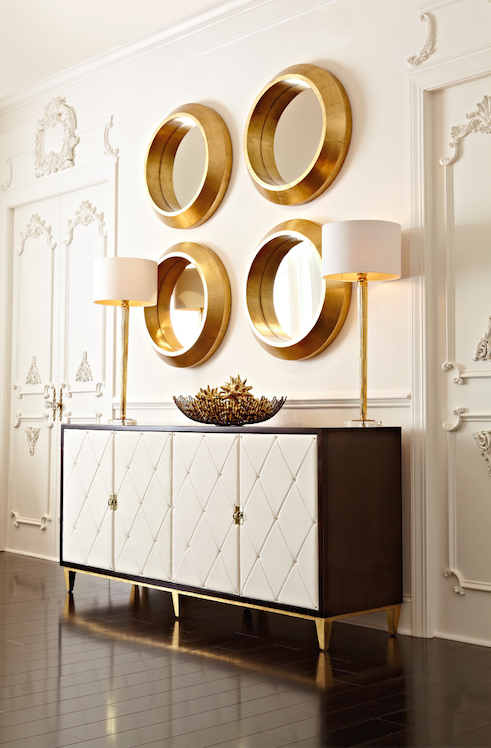 In more recent years, the line has evolved into "Hollywood Regency and Mid Century Mod Style offerings, perfectly timed for the growing need of more transitional pieces for today's updated interiors. 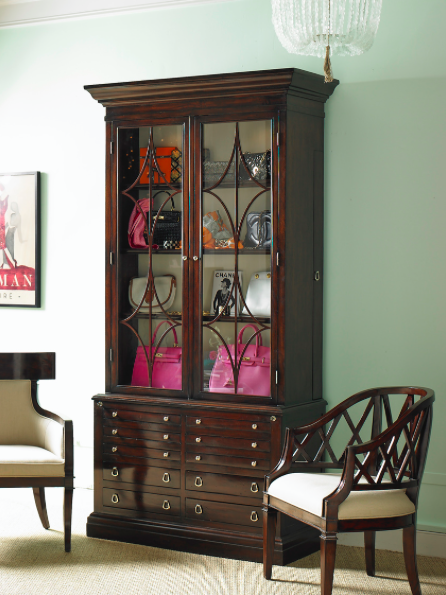 You may not know that World's Away was one of the first companies to offer mirrored furniture. 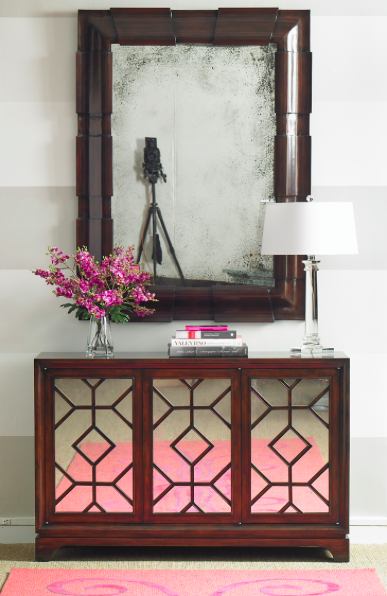 It all started with the "Cary" mirrored dresser and the rest is history! The company was founded in Memphis, Tennessee in 1992 and their headquarters remain there today. 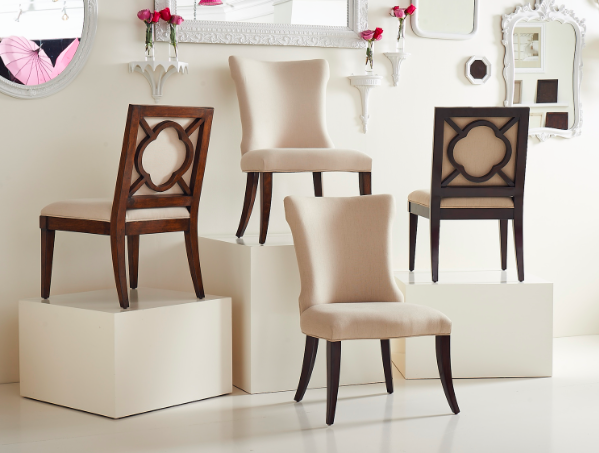 World's Away offers high design pieces at great prices. I took the liberty of snapping a few pictures to share when I was in their showroom. Have You Checked Out The Style Spotter Boards On Pinterest? 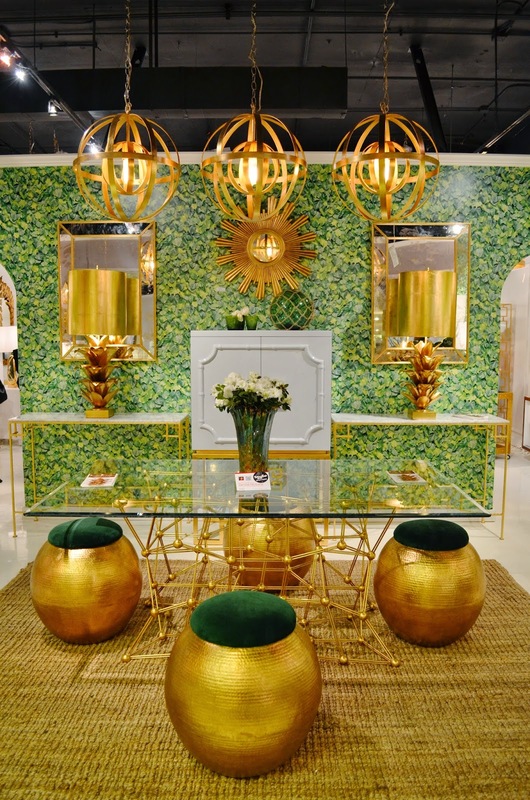 Still wondering what the trends were at April 2014 High Point Market? Have you checked out the Style Spotter's boards on Pinterest? Make sure to visit Pinterest and see all the great products they spotted! This year' panel did an amazing job! I am going to post what I saw as trends in furniture, colors and stories this week. Can't wait to share, but until then look at what our tastemaker panel posted! 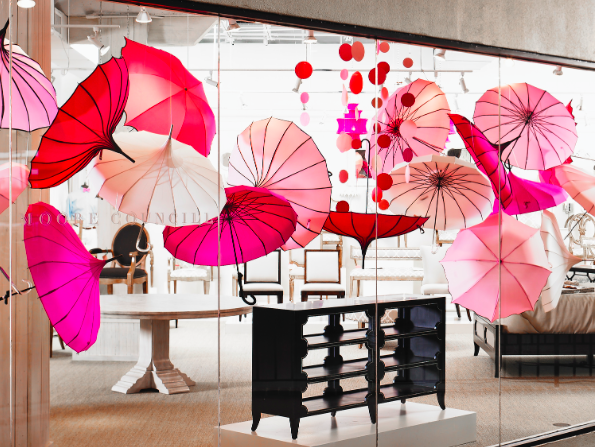 It was an exciting market this spring and one of my favorite showrooms was Moore Councill! The showroom looked as vibrant as ever. I wanted to share these beautiful photos with you. Enjoy! I am digging those curved sofas. I especially loved this piece. It has all kinds of storage for women. The Tiffany blue interior is so pretty too! These new occasional tables were adorable. Perfect for between or beside chairs. 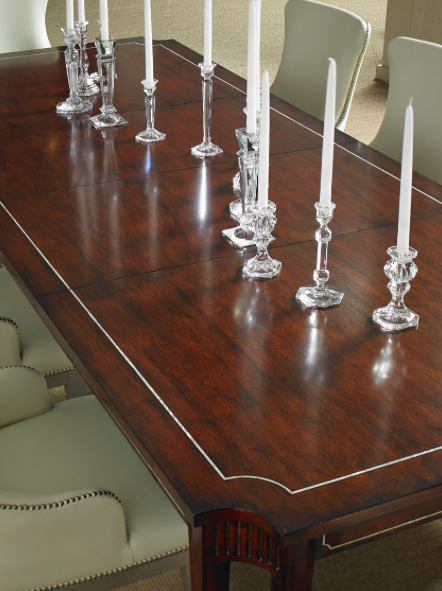 This dining table was a real beauty! Moore Councill has beautiful furniture which makes it easy to want one of everything in the showroom but the real prize at Moore Councill are the people. Always there to help in anyway they can. At any given minute you may call and Moore himself might be the one to answer the phone. Moore grew up in a furniture family and really understands what it takes to run a first rate furniture business. I like doing business with nice good people and every time I go in the Moore Councill showroom I am reminded why I love them. 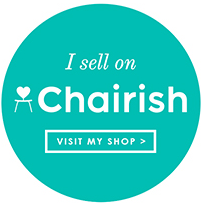 Please visit their website to more of their beautiful products. I just returned from High Point Market and have so much to share, but before I start posting on my fab finds in High Point, I wanted to share my exciting news!!! I was chosen as a Legends Ambassador for 2014!!! I have never attended the Legends event but have heard rave reviews from all my designer friends. Have you ever been? If not, what are you waiting for? Buy your tickets today here! 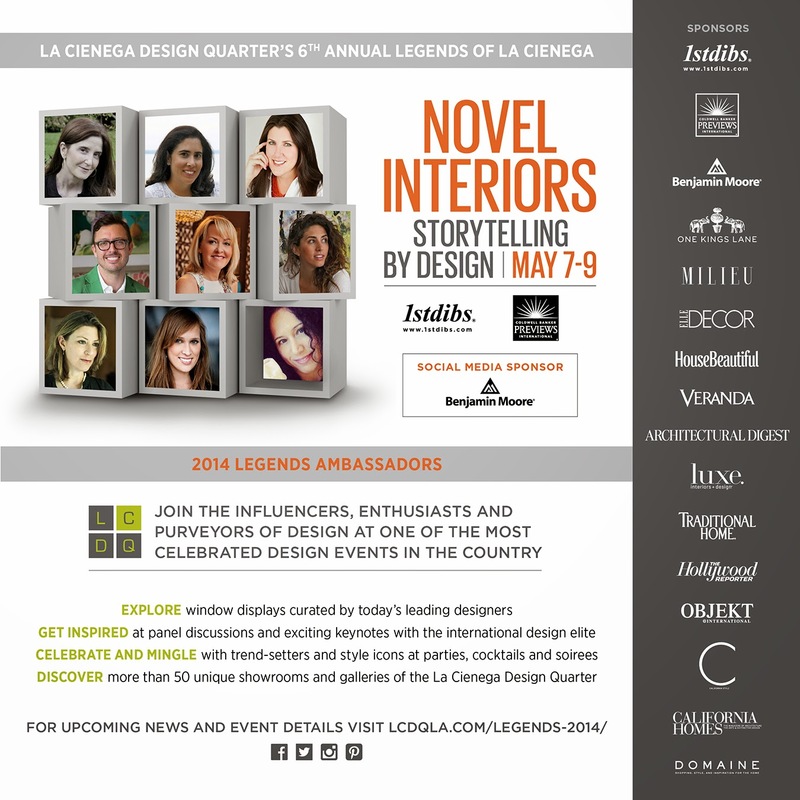 What is La Cienega Design Legends Event you ask? "One of the most anticipated design events of the year, Legends is a three day celebration of design each year in May. It is the largest design event on the West coast. Top editors come together with VIP's and interior design, art, fashion and architecture tastemakers, for keynote discussions, cocktail parties, reception, exhibitions, book signings, personal appearances and special events in California’s hippest design district"
This years event marks the 6th year for the La Cienega Legends Event. 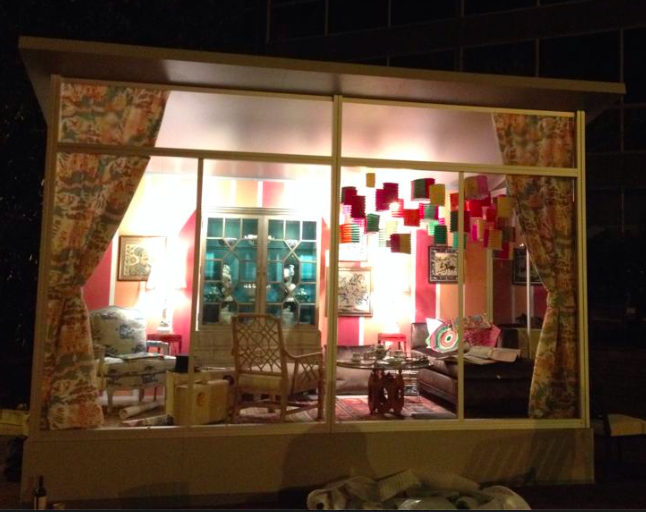 Fashion icon Diane von Furstenberg, New York interior designer David Kleinberg and many other A-List designers from around the country will decorate the window for Legends 2014 on the theme Novel Interiors: Storytelling by Design. Eleven of the most prominent design magazines in the United States, Europe and California are slated for participation. Mark your calendars for May 7th - 9th. If you can't attend make sure you follow my exploits. I promise to be where the action is during the event. Check out the La Cienega Legends website here for complete detail on all events! To say I'm excited is an understatement! Cannot wait!!! Follow Me On @DesignonHpmkt Today!!! on instagram here. If you aren't following make sure you do today, to see the good things Marisa Marcantonio of StyleBeat and I will be posting. New products, fun events!! 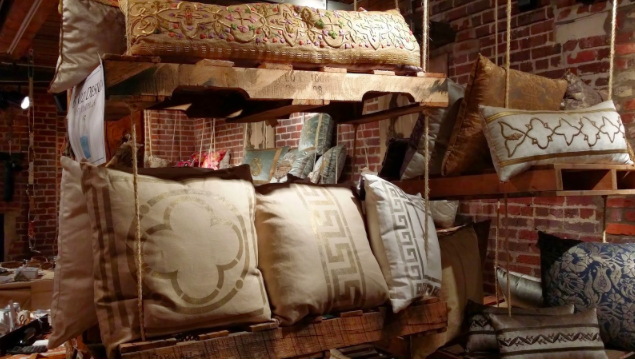 One of my favorite places at High Point Market is the Antiques and Design Center. If you have never been, it's a must! Don't let the name fool you! It isn't just antiques or old boring things. There is a plethora of fantastic finds just waiting to chosen for a special project! Make sure you visit my buddies at The Madcap Cottage not only do they have fabulous pieces curated from all over the world, but the experience of meeting these two talented gents is a gift in itself. Pop over to booth #24 to see their amazing wares. Also make sure you stop by Heather Karlie Vieira's booth at 34 and 34a. She has amazing pieces too. Rumor has it that Thom Filicia bought a coffee table from her yesterday. 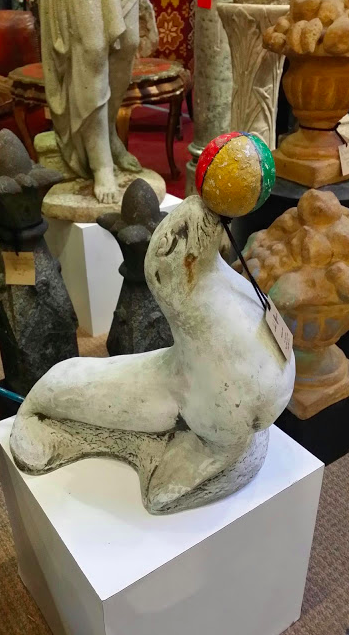 I could go on and on because quite frankly all the exhibitors in Antiques & Design are amazing and since their wares change from market to market there are always hidden gems to be discovered. Want to make your next design project one of "a one of a kind standout"? Look for those special pieces at A&D. They are there, just waiting to be discovered. 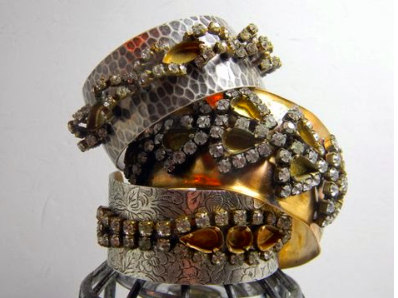 Did I mention that it is also the best place to find vintage jewelry? Here are a few baubles from Catiques! They have several new collections of jewelry and accessories created from vintage jewelry and jewelry findings! Of course there are also fun and whimsical things in the mix as well! Don't you love this seal? Please take the time to visit the Antiques and Design Center, you will be so happy you did. If you do, let me know what you discovered! I can't wait to go! As I said before, it is my absolute favorite place at market for discovering the unexpected! kept secret of High Point Market! 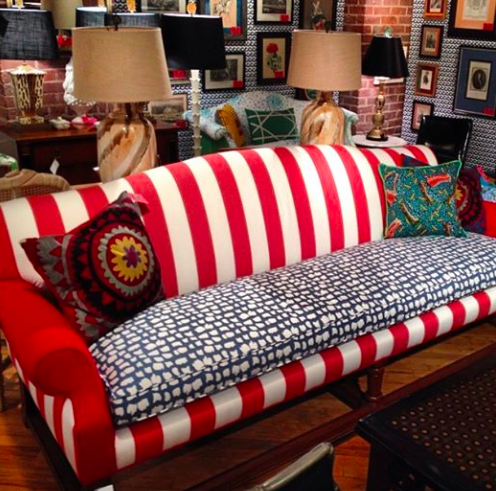 Make sure to follow the #designonhpmkt on instagram to see the goodies curated each day! Here's the list of who's posting daily! Thank You Antique and Design Center for Sponsoring me at High Point market me for High Point Market. All opinions are my own. 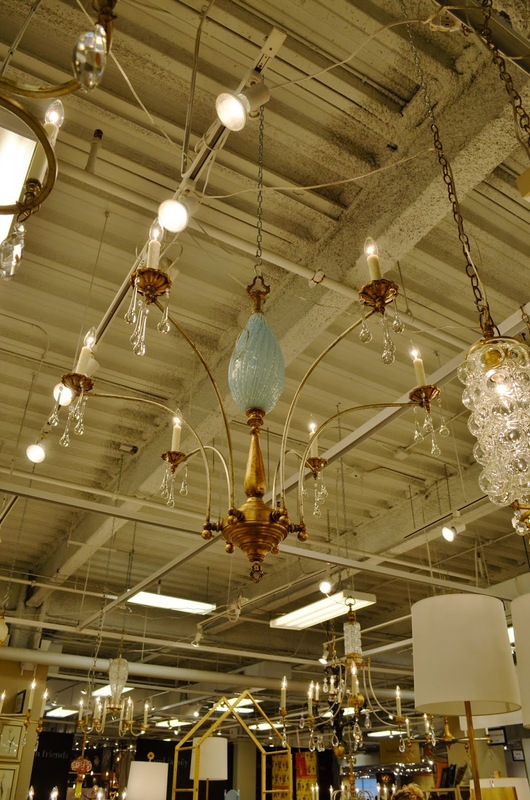 I truly do love the Antiques and Design Center and you will too if you visit it! 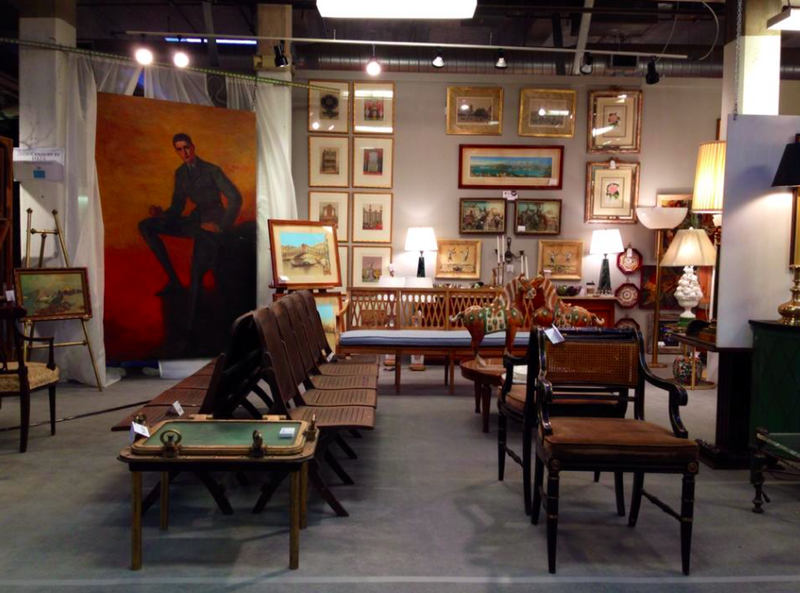 High Point Market April 2014 The Full Schedule!! I'm late posting this, but here is the full list!! For complete details on all events listed make sure to check out the High Point Website Here. I came in yesterday and attended Rebecca Reynolds and Lori Gilder's KitchenDesign Network Workshop and it was fabulous! I'll be posting about it next week. A must do for all wanting to learn more about kitchen design process!! 9am - 10:30am Lori Gilder and Rebecca Reynolds, co-founders of the Kitchen Design Network will share tips and knowledge about kitchen design and renovation. The event will take place at the Antique & Design Center in Market Sq. 1:30 pm - Design Tech Summit with Katy Garrett, CEO of Connectionsoft,Inc. This panel discussion of tech leaders and innovators will talk about how their products can streamline your business. Sponsored by The Antique & Design Center. 2pm - 3pm Designer Barclay Butera and Tori Mellott, Traditional Homes Senior Design & Markets editor will discuss "The New Face of Tradition" Barclay will talk about his new collection with Highland House. RSVP here. IHFC, Green Wing 11th Floor Ballroom B. 3pm - 5pm Currey & Company host Dwell with Dignity. Come find out how you can get involved. Always fun in the Currey show room and this time with a perfect cause. 3pm - 5pm Dann Foley from NBC's American Dream Builders will be at IHFC (Hamilton 417) to share is newest SuppleStyle soft home collection. 3:45pm - Join Madcap Cottage for a Champagne Toast /Meet & Greet in the Market Square Courtyard. 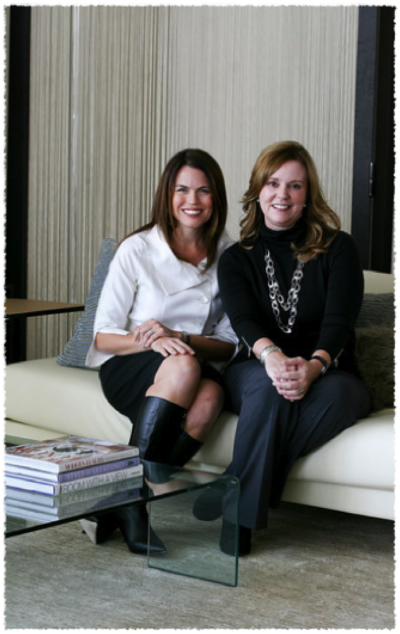 Come find out what monkey business these two talents have conjured up for market from design resources found in High Point Market's IMC buildings. I think you will be delighted with their curated display as well as with the gents themselves. 4pm - 6pm Nathan Anthony Furniture 10 yr Anniversary toasted by Architectural Digest RSVP required to reply @archdigest.com IHFC 302. 5:30pm - 7:30pm Century Furniture hosts Charlotte Moss. Come see Charlotte & her new collection with Century. (Historic Mkt Sq 5th floor) Cocktails, hors d'oeveres & live music. 6pm CR Laine - BBQ with music by Jay Bird & The Soul Central Band. 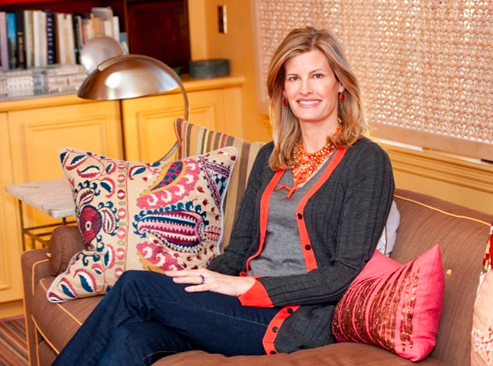 1:30 Mitzi Beach "Boomer Design" at Antiques and Design. Following the presentation, Mitzi will be singing copies of her book, "Boomer Smarts Boomer Power"
8:30am - 9:30am High Point Style Spotter Michelle Wiebe will shares tips and lead a VIP tour to several of her favorite showrooms. Limited seating RSVP required. Breakfast included. High Point Theatre Transportation Terminal. 9:30am - 10:30am "It's Never Too Late for Wallpaper" by Don and Judi Larkin. 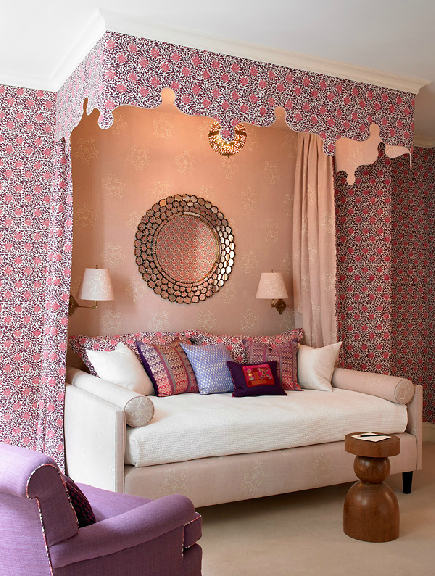 Sponsored by Thibaut and Antique and Design Center in their presentation room. Book signing to follow. Breakfast served. 12pm - 1:15pm Designer Viewpoint: "More Money, More Profits" featuring Dabble magazine editor and author Kimberley Seldon. .1 CEU Book signing to follow. High Point Theatre. Preview of new collections. RSVP Required. of Design Life Network and founder of V&M.com. 3pm - 5pm Currey & Co host author James Farmer, who will be premiering his 6th book on Southern food and culture. 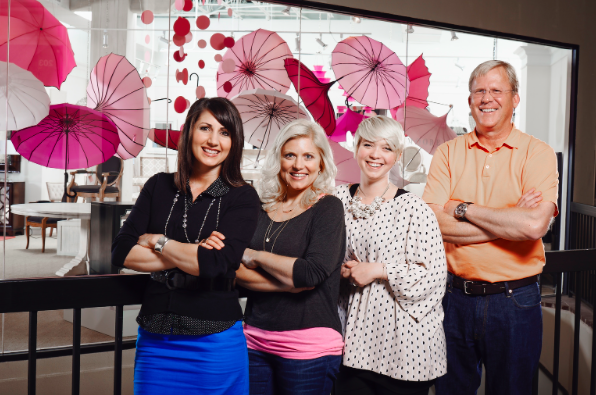 4pm - 5pm Denise McGaha the "Designing with a Deadline" Diva will be sharing her secrets and tips at the Antique and Design Center. Happy Hour to follow. 4pm - 6pm LampsPlus cocktail reception honoring Jamie Young new product will be unveiled. 4pm - 6pm Genevieve Gorder and experts at HGTV will be sharing their trends and resources. Find out how to get involved with HGTV. RSVP required for this event. 5:30pm American Leather "Boost Your Color IQ" Course presented by Sally Augustin. Drinks, eats and IDCEC credit. Course begins at 6:30 RSVP required. 6pm - 8pm Withit Competitive Intelligence Panel with Caroline Hipple, chief energy officer at HB2 Resources, Dixon Barlett, Anita Pugh and Chris Matthies co-authors of A Pathway to Profit, a new business book from Friesen Press. Antique and Design Center. Book signing to follow. Historic Market Square. Come find out about the yearlong program of promotions and events in honor of the centennial! 7:30am - 8:30pm NEWH North Carolina Regional Group 2nd annual Hospitality Designer Day at High Point Market. For more details read the full description here on the High Point website. Kick off at Designmaster Furniture showroom (201 S. Main St) with breakfast and a full day of showroom visits. RSVP required. 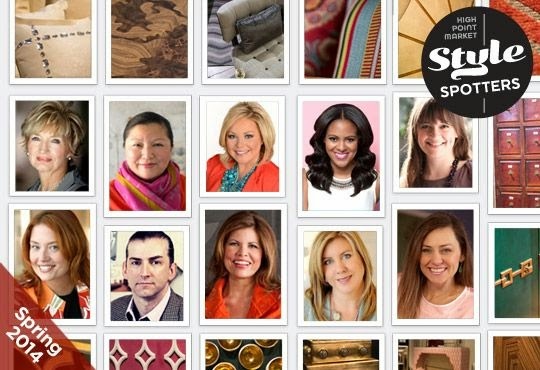 9am-10am High Point Market Style Spotters Panel. Come hear why and what Mizi Beach, Jeanne Chung, Meredith Heron, Gary Inman, Denise McGaha, and Michelle Workman style spotted and why! RSVP REQUIRED. 10:30am - 11:30am "Designing with Antiques" with Nancy Price and Douglas Scott, sponsored by Antiques and Design. 10:30am - 11:30am Lloyd Princeton interactive program to "Learn How the Best Way to Work with Clients flooded with the "do it yourself" messages. Position Your Brand, package your services and optimize your pricing so you can maintain Design Integrity, professional satisfaction dn give clients what they want. RSVP Required. 1:30 pm - 2:30pm Gary Inman of Glave & Homes Architecture (& April Style Spotter) will present "Great Design Begins with a Great Story" Antique and Design Center. 2:45pm-3:45pm David Lindquist, owner of Whitehall Antiques and noted antiques authenticator, appraiser, educator and author will present "An Introduction to Wood Identification. Antique and Design Center. 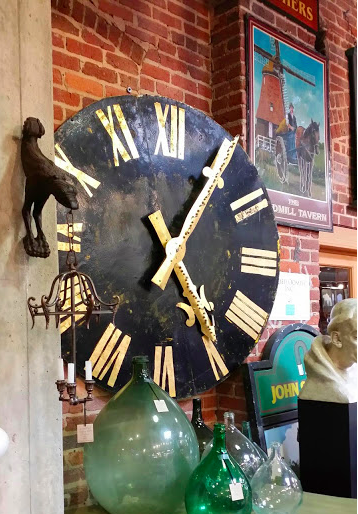 4pm - 5pm Toma Clark Haines "Antiques Diva" owner of Europe's largest touring and buying service company will lead a virtual tour of the major antique periods and styles. Happy Hour Tour of the ADC follows. 10am - 3pm Designer Master Class presented by High Point Market Authority in a association with ASID Lloyd Princeton principal of Design Management Company will led class through presentations. .4 CEU Credit for more information read the entire description here. RSVP required. Throughout Market the Style Spotters will be selecting their favorite products and top trends, and will be posting them on Pinterest. The Style Spotters are Michelle Jennings Wiebe, Shay Geyer, Mitzi Beach, Jeanne Chung, Nicole Gibbons, Haskell Harris, Meredith Heron, Gary Inman, Denise McGaha and Michelle Workman. Follow the Style Spotters on Pinterest Here! Featuring New Orleans Roast Beef Po’Boys! Don't miss the mess! Enjoy Decked out Dogs with all your favorite fixings. Serving regular dogs and daily specials, including Chili Dog, Chicago Dog, New Yorker, The Border Town and the Top Dog. Roaming servers will pass a specialty brunch drink each day. Specialty brunch drink each day. Join us for Greek and Italian cuisine daily in the Linon Home Decor showroom. Market public welcome. 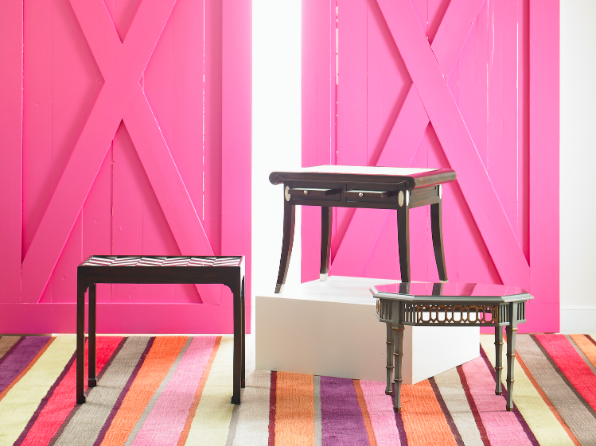 Join Design 9 & TemaHome for lunch, frozen Daiquiris, Cosmos and Margaritas. Sponsored by Wesley Hall. Members of the press are invited. Daily Friday April 4th – Wednesday April 9th. Members of the press are invited. Everyday in the showroom - sponsored by Feizy Rugs. 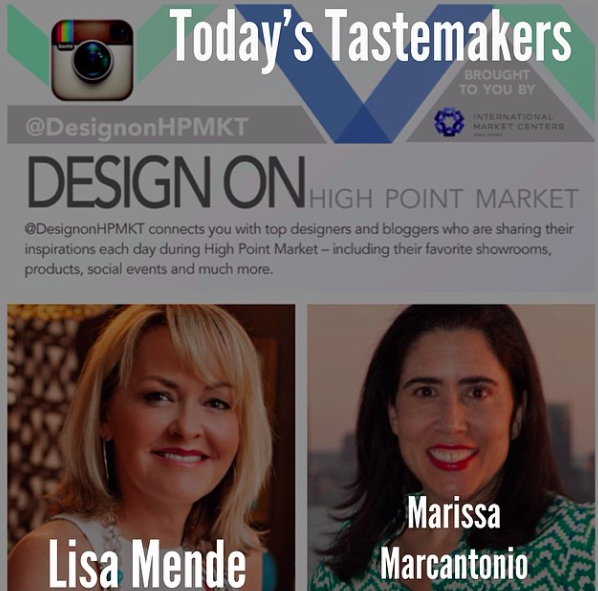 Make sure to follow High Point Market everyday during market on instagram as @DesignOnHPMKT takes over the HP Mkt instagram here and shares our fav's! Each day a one of us designers/ bloggers will be posting pics on instagram of our favorite showrooms, hot products and glimpses of fun social events. 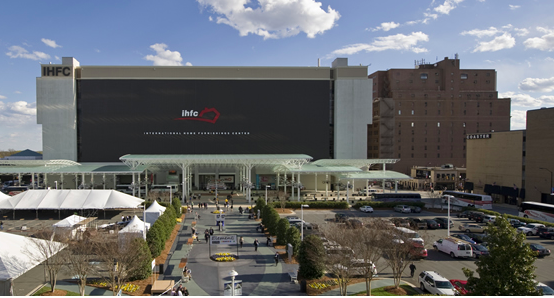 @DesignOnHPMKT so make sure you are following HighPointMarket on instagram to be in on the inside scoop!!! Check out the High Point Market Website for more info!!! Print this out and take it with you!!! !